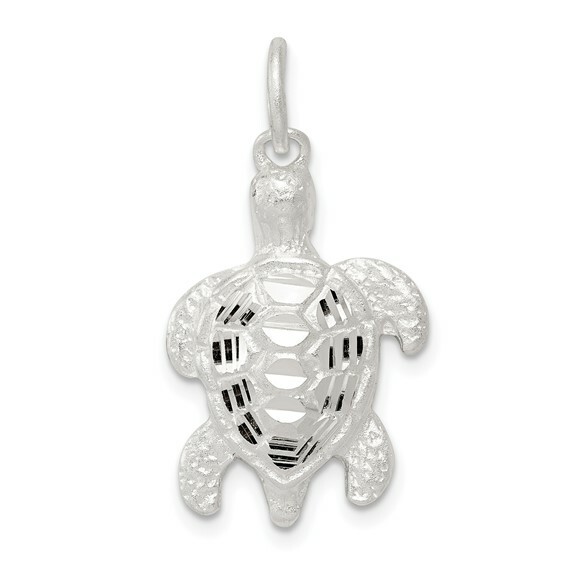 Diamond-cut, open back turtle charm is made of polished sterling silver. Measures 3/4 inch tall by 9/16 inch wide. Jump ring fits up to a 4mm wide chain. Weight:1.75 grams. Import.